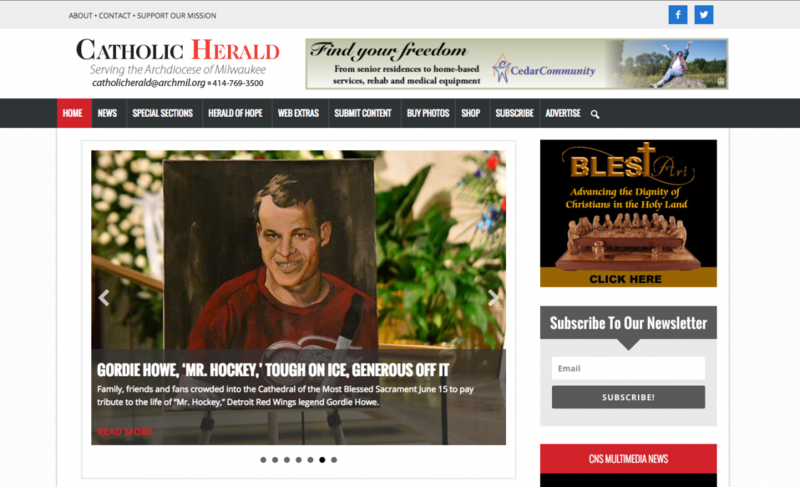 The Catholic Herald is the diocesan newspaper of Milwaukee. One of the driving factors for moving to a new website was their need for a robust and easy to use CMS (Content Management System). With staff uploading several hundred articles per year, it was critical to make the process as smooth as possible.